This was the beginning, the first year for Chrysler. This historic Chrysler was hidden away for many years before being discovered in 2005 by Bill and Carl Swope. It is indeed a rare and valuable icon. The new Chrysler was introduced in January, 1924, at the New York Auto Show in the City’s Commodore Hotel, a car introduction second in excitement only to that of the introduction of the Model A Ford. With its high compression engine, the new Chrysler had an amazing top speed of 75 miles per hour. Ralph DePama, the famous race car driver, used a Chrysler to win the Mt. Rushmore hill climb. He then drove the same care 1000 miles in just 17 hours. 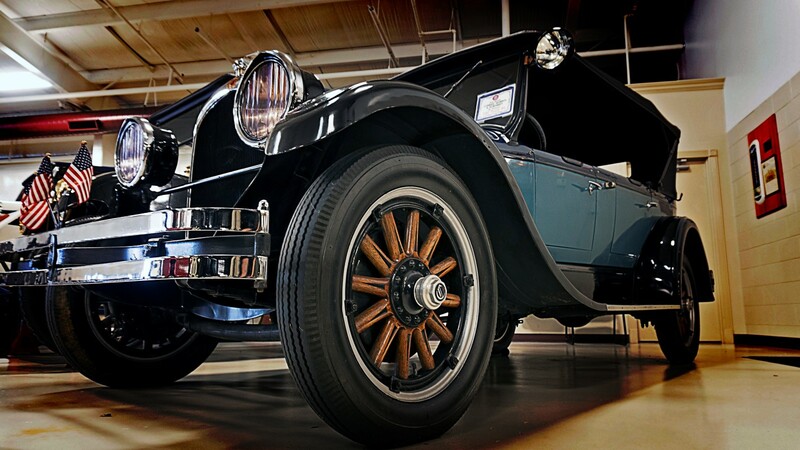 The evolution of Chrysler represents one of the most stirring sagas in the history of the American Automobile. First, there was the fact that Walter P. Chrysler was able to start a brand new automobile company in the twenties and make it survive. But second, there were the amazing advances in engineering that were associated with Chrysler from the very beginning. And then there was the landmark year, 1928, when Chrysler purchased Dodge, introduced Plymouth and DeSoto, and during the same year built the Chrysler Building in New York City.